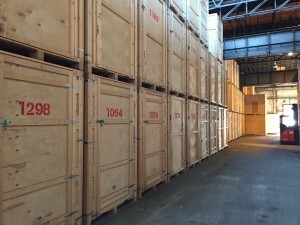 Looking for Storage Units in Manchester? Call 0161 877 1260 Today! Looking for Storage Units in Manchester? 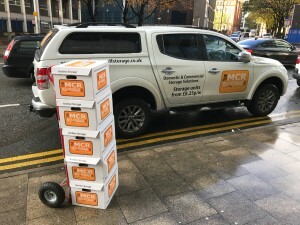 When people start looking into self-storage, a whole world they had never considered before suddenly opens up in front of them.The self-storage industry in Manchester (and the UK as a whole) is huge and fragmented with big chains competing with family-run independents for customers. Storage facilities are as varied as the people who use them. Storage units tend to range in size and sophistication from basic 25 square foot containers to vast climate-controlled rooms of over 300 square feet. Meanwhile, the storage facilities themselves include tiny plots of land containing a couple of garages, sprawling town-sized industrial sites and everything in between. What are Storage Units Used for? Storage units are popular because they have a wide range of uses. One of the most common use cases is for storing possessions during a house move. Sometimes, when a homeowner is in a chain for example, they have to rent accommodation or stay with relatives between selling their home and moving into their new one. To save the inconvenience of moving and unpacking all of their worldly goods, they can just live minimally and put the rest straight into secure storage. Other house moving use cases include downsizing or moving in with someone else. In both cases, there is no longer enough space for comfortable living and a long-term storage solution makes more sense. Storage units are also useful during temporary accommodation changes. Students often find them handy when they want to go off travelling for a few months or even during the summer holidays when they are between tenancies. By their final year in university, students have usually accumulated a lot of stuff. They can’t move it all back home for six weeks yet they may be unwilling to pay extra rent just to keep their things safe. Again, self storage comes to the rescue. You don’t even have to be moving anywhere to need the help of a storage unit company. Some people like the idea of living in a clutter-free environment but have valuable or meaningful possessions that they are not willing to sell or donate. Storage units can also be invaluable during a renovation project. Rather than have contractors working around furniture, slowing them down and risking causing damage, the house can simply be emptied into storage containers. Manchester business owners regularly use storage units as cost-effective extensions to their premises. They can be used to store office furniture, excess stock or seasonal items without impacting on the working space. Some people are now even running businesses from storage units! With advances in technology making it simple to set up an e-commerce store, all that is needed is somewhere to store excess stock. Storage units are often the perfect answer. In fact, some entrepreneurs run a series of depots, each one consisting of a storage unit. Why use the Manchester Self Storage Company? With so much choice in Manchester and the surrounding area, it can be difficult to decide which self storage company will serve you best. The Manchester Self Storage Company has a strong value proposition that is definitely worth thinking about: we come to you! As a mobile self storage company, we save our customers the expense and hassle of van hire and self-driving by delivering empty Mobile Self-Storage Units to your door. All you need to do is pack your items into the units and secure it with a padlock once you’re done. We will then pick up your unit and take it back to the most convenient of our storage facilities. If you need to add or remove items, you can either arrange to visit the facility (we will move your unit to an easily accessible drive-up bay) or you can ask us to redeliver the unit for a small fee. 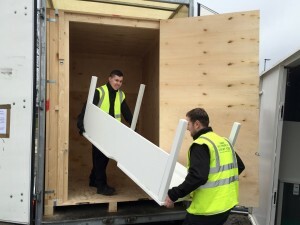 Whatever the specific reason you have for needing storage units in Manchester, we would love to help you make the experience a smooth and enjoyable one.